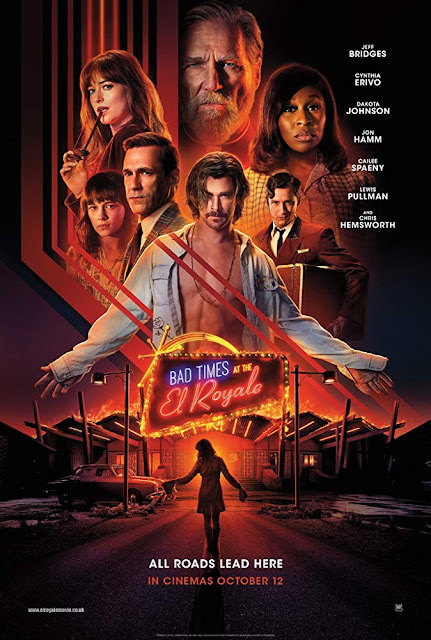 Bad Times at the El Royale is a solid twisty thriller from Drew Goddard. You’d be remiss if you didn’t feel some very strong Tarantino vibes throughout mixed together with some Agatha Christie as each individual story plays out. The film is stylish and engrossing even if the ultimate payoff is bit of a letdown. Goddard cast is made up of strong performers and a bevy of recognizable faces but Broadway star Cynthia Erivo really leaves an impressive mark. Jeff Bridges centers the whole thing with a tangible sense of heart with healthy shades of grey. Jon Hamm does solid work in a limited role and the film is lesser for taking him off the board as early as it does. A perpetually shirtless Chris Hemsworth is clearly having a blast hamming it up as the cult leader that brings all the plot threads together. For all the strong performances and stories, you d start to get the sense that Drew Goddard fell in love with his own creation as the film starts to meander towards the end. There’s really no reason for the film to be nearly 2 and half hours and the film suffers since this type of pulpy fare is best in short doses. Good to know. I wondered about the length. Few films can engross for that long.